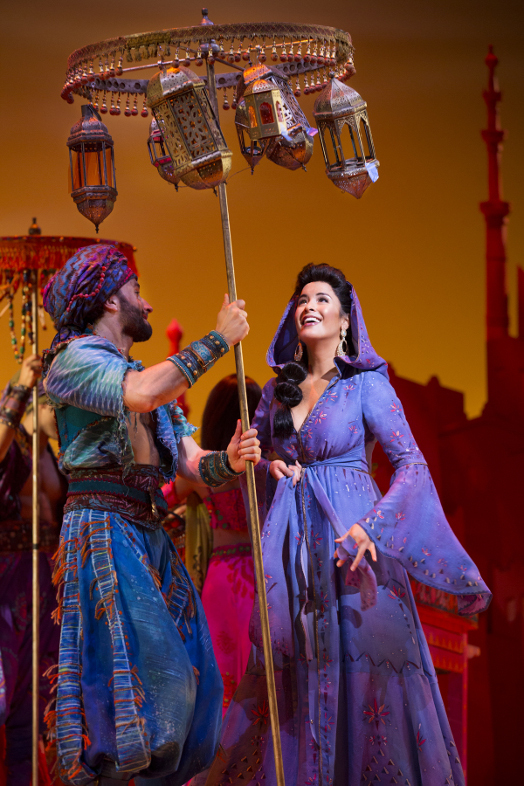 A riot of vivid colour and constant movement, Aladdin is pure, sit-back-and-enjoy-it, see-every-cent-of-your-ticket-price-on-stage entertainment. Throw in a melodic score, laugh-out-loud book and terrific performances, and you have the makings of a well-deserved hit. Director/choreographer Casey Nicholaw, who also helmed that successful little show The Book of Mormon, whips his cast into a frenzy, with the high energy levels of the acting matching the high sparkle levels of the of the costumes and high volume levels of the music. With clear-cut heroes, villains and sidekicks at almost pantomime levels, Nicholaw somehow keeps the balance of action at Broadway standard, successfully keeping the show from degenerating into corny “Behind you!” mush. Even more impressively, Nicholaw has created the most cohesive vocabulary of dance moves since Hairspray. The top three design creatives have clearly worked together closely to create a lush, rich stagescape. Exotic jewel tones abound in Bob Crowley’s sets and Gregg Barnes multitudinous costumes. The countless sequins are set off brilliantly by Natasha Katz’s kaleidoscopic lighting design. For all the money on stage, there are probably a few too many old-fashioned painted cloth backdrops, but in the grand scheme there is still more than enough bang for our buck. Über-successful Disney composer Alan Menken has expanded, though not necessarily improved upon, the handful of hit songs from the 1992 movie. Chad Beguelin’s book beefs up the comedy with great success, but the movie’s plot is stretched to breaking point over a full length musical. 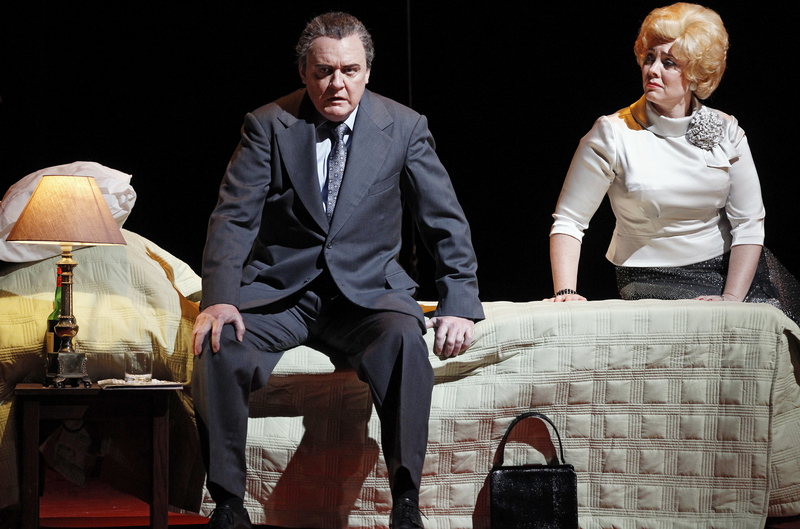 Less plot to unfold, however, means more time for dazzling show-stopping production numbers. And the grand-daddy of these showstoppers is “Friend Like Me,” which must now rank right up there with Crazy for You’s “I Got Rhythm” and the title song from Anything Goes as one of the all-time great act one finales. Set in the blindingly golden Cave of Wonders, the Genie fills in Aladdin on the benefits of being granted three wishes. Gold pillars turn into dancing girls, chorus boys pop out of the floor, and piles of gold coins turn into twinkling gold skyscrapers. 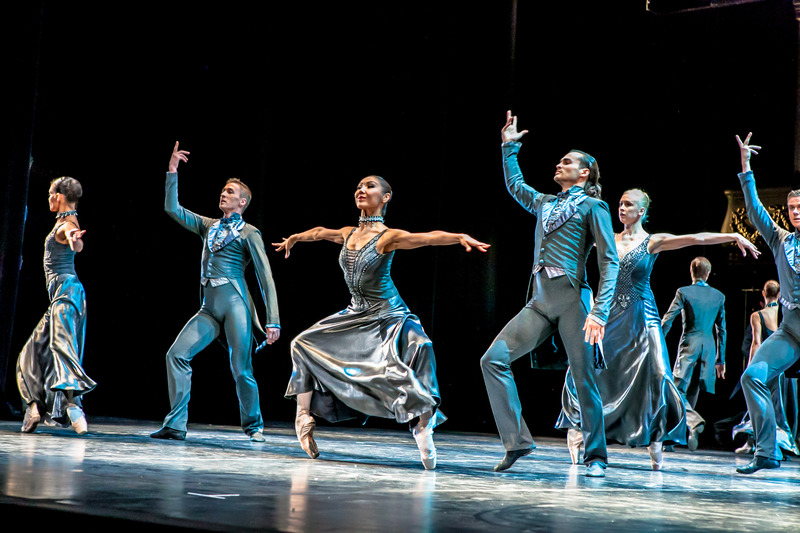 If the audience are not in enough of a frenzy as the Genie riffs on popular Disney tunes from Beauty and the Beast and Pocahontas, the number shifts into overdrive as the entire chorus come out in gold costumes for a massive tap sequence. “Friend Like Me” earned a mid-show standing ovation from the adoring crowd and a tear in the eye of Man in Chair (possibly the highest accolade there is). Believe it or not, this splendour was almost matched in act two opener “Prince Ali,” as the ensemble came forth in a continuous parade of even more of Gregg Barnes’ incredible costumes. 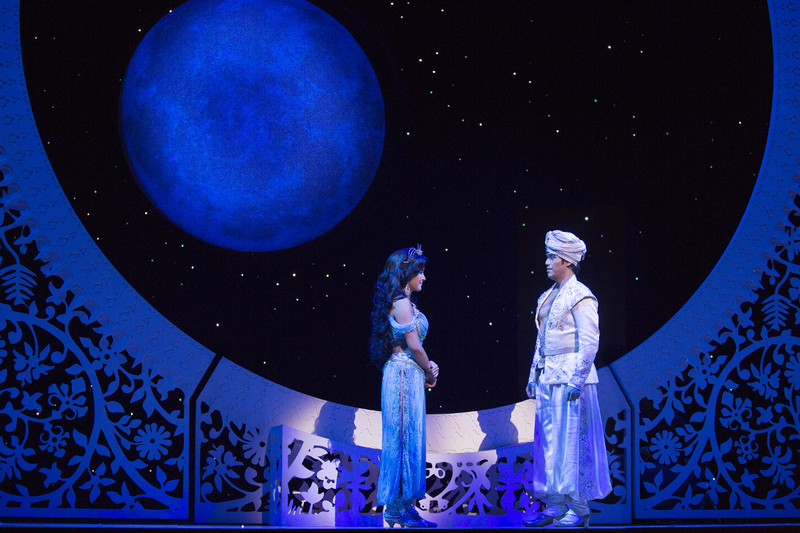 The final jewel in the crown of the staging is the beloved duet “A Whole New World,” which sees Aladdin take Princess Jasmine on a magic carpet ride while every square inch of the stage becomes a twinkling star cloth. You would think that seeing one hundred or so productions a year would leave a reviewer somewhat jaded, but from the front of the dress circle (mezzanine) I honestly could not see how the magic carpet works. I presumed that all the darkness of the night sky was helping, but then it flew in and picked up the couple again in full light at the end of the show. Maybe it is actually real magic. 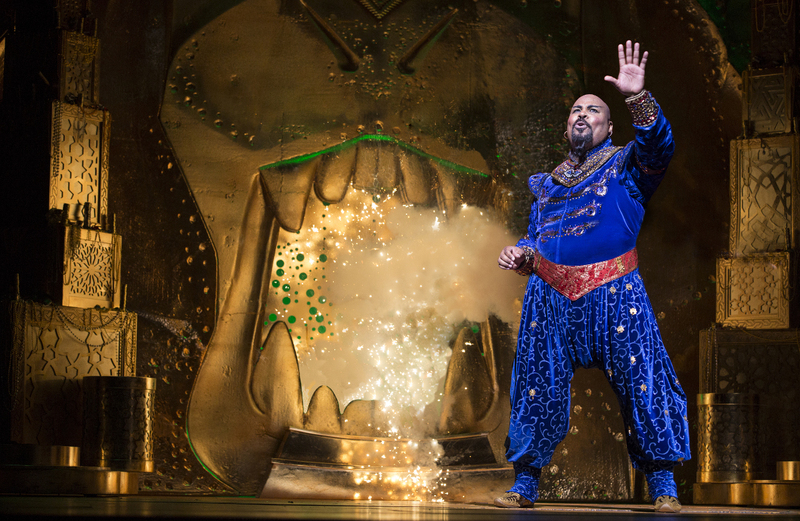 James Monroe Iglehart gives a performance of such finely honed hilarity and vivacious energy that it is sure to be talked about for years. 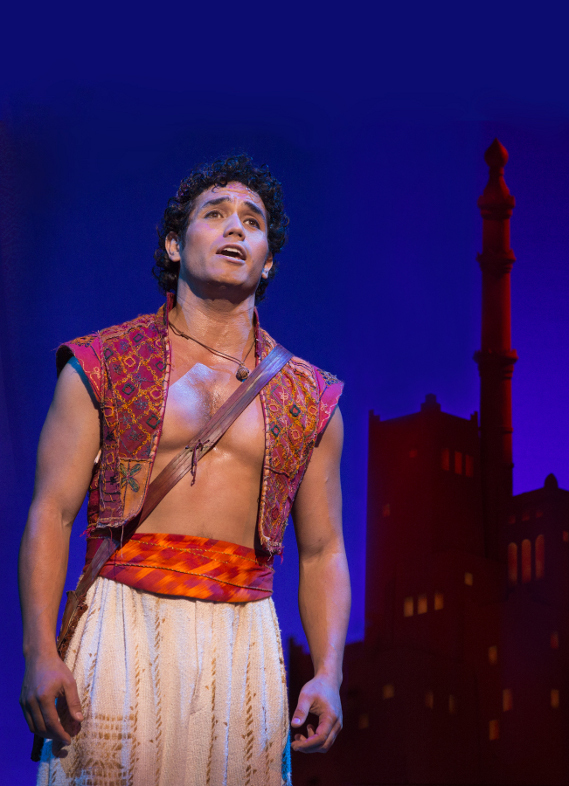 Adam Jacobs is enormously likeable as rough diamond Aladdin. 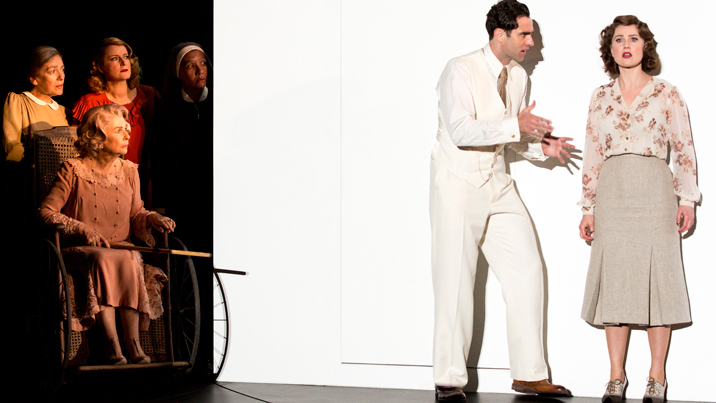 Courtney Reed successfully balances the wide-eyed ingénue act with Jasmine’s girl-power message. Jonathan Freeman clearly relishes bringing Jafar to life on stage (having voiced the character in film). Don Darryl Rivera lands all his physical humour as Jafar’s sidekick Iago, reimagined here as a dumpy dope rather than a parrot. Aladdin is a fun night in the theatre, if you can get a ticket. 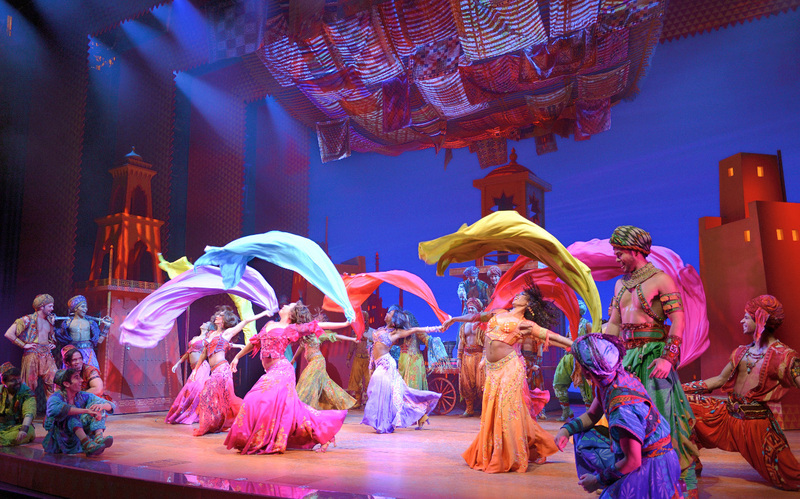 Aladdin was reviewed 8pm 11 April 2014 at New Amsterdam Theatre, where it is playing an open-ended run. I loved The Lion King and Mary Poppins and hopefully on my next trip to Broadway, I’ll be able to catch the latest in their screen to stage adaptations. Mary Poppins in particular, made me feel like a teenager again. If you loved those other Disney shows you will definitely love this one! The colours are gorgeous and the script and songs are just so much fun. The audience really went wild! 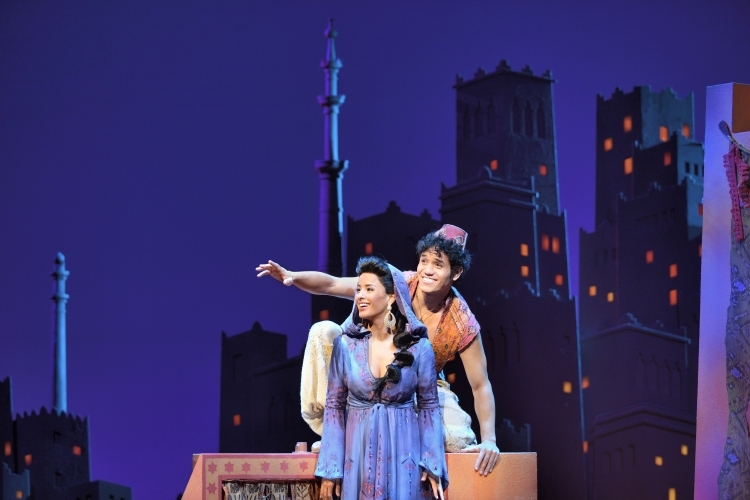 Hope you are able to vista NY soon to see Aladdin. Or I think it would also do well in Australia. Fingers crossed they will bring it out. Glad to hear that you are enjoying the different reviews. I think the slight changes of style are my way of keeping myself sane! Five or so more Broadway reviews to come so stay tuned! Thanks for this amazing Aladdin review! I will be seeing the show this July (hopefully) so I look forward to it! You can check out my blog for musical theatre as well! Thanks Chow. 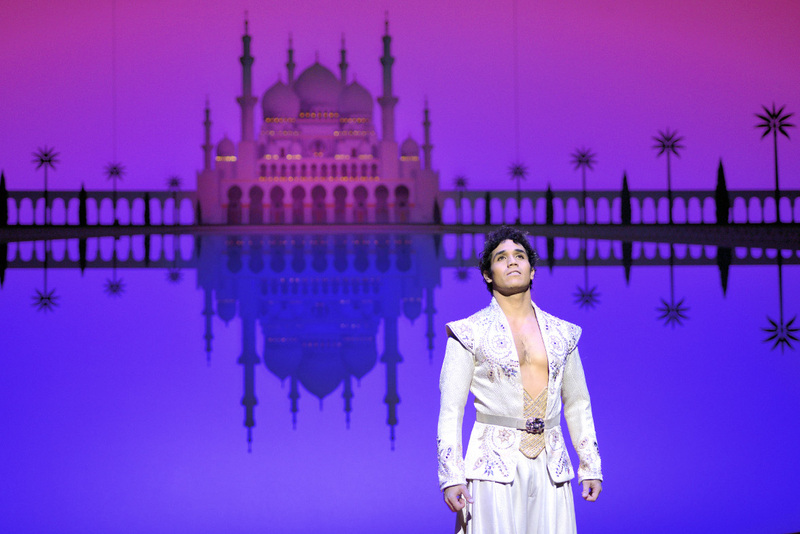 I really hope Aladdin comes to Australia so I can see it again (and again). You definitely should try your hardest to see it this July. So much fun! I am checking out your blog now..